My Boss Doesn’t Listen to Me! My first question to you is– Are you speaking your boss’ language? And, I’m sure your answer is, “Of Course!” But are you really? One of the most important tools that I use to help people understand this problem is the Myers Briggs Type Indicator. The Myers Briggs is a tool that enables great conversations about your personality and the personalities of others. It is one of many tools that can facilitate these conversations and investigations.. I like it best because of the research behind it, but it doesn’t matter if you use this tool. Just look at your own personality/behaviors/interactions through the lens of a tool that helps you evaluate yourself in the context of interactions with others. For example, someone who is an MBTI “Extrovert” gets his ENERGY from interacting with people. He goes to a party and gets energized. An MBTI “Introvert” gets her ENERGY from being alone, from reading, from spending a quiet evening at home. An Extrovert might take a break at work and walk around and talk to people to get a second wind. An Introvert boss might see this as an employee who is wasting her time. A MBTI “Senser” boss needs hard cold facts to make a decision. 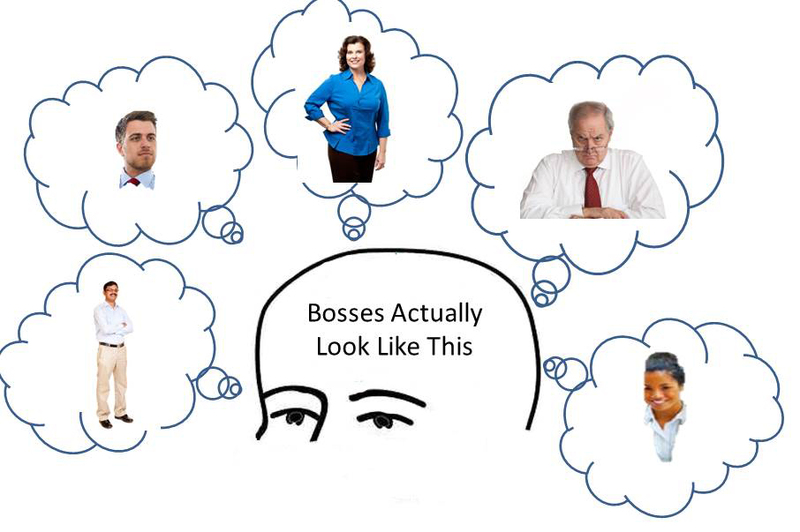 An “Intuitive” employee will struggle to tell the boss how she knows what she knows. She just “knows” it. I frequently do the exercise in class sessions where I divide the “Judgers” and “Perceivers” into separate groups and have them plan a vacation. The “Judgers” plan everything right down to when and where they are going to go buy new underwear for their vacation. The “Perceivers” are lucky if they actually come up with a destination and a mode of transportation. Both of these are adequate plans (for the ones doing the planning) and completely deficient and faulty plans for the other group. So, if you are a “P” and you have a “J” boss, your plan is unlikely to be considered a “real” plan. If you a “P,” the “J’s” plan is likely to be serious overkill. These communication gaps cause more problems at work than probably anything else. I highly recommend the book, Type Talk at Work, How the 16 Personality Types Determine Your Success on the Job, by Otto Kroeger and Janet Thuesen, to provide you with examples and strategies to deal with these gaps. So . 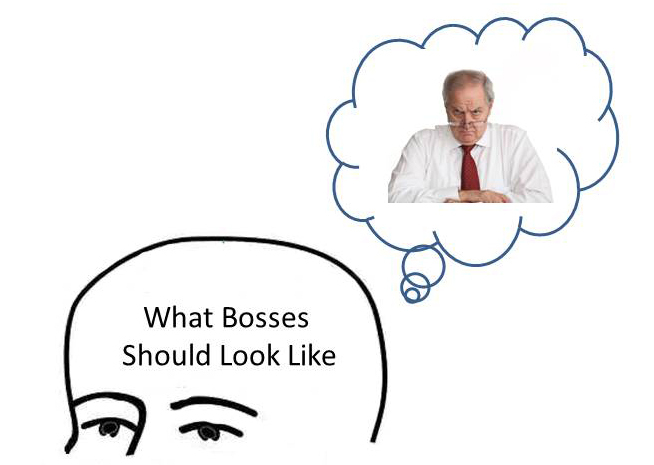 . . since this is a problem on both sides–boss and subordinate–why should you step up and do something about it instead of your boss? Of course your boss should do something about it. I tell all the leaders that I coach that they should (and of course, they have the same problems with their bosses, too). If your boss isn’t doing it, though, you have limited options. You can go on failing to successfully communicate with your boss (framed as “my boss won’t listen to me), or you can work on these skills, develop the ability to successfully communicate with any boss (framed as “my boss always listens to me) and you can succeed at what you’re trying to do. I had a boss for whom I used to prepare long, detailed (and if I do say so myself) brilliant reports that answered all his questions. He would take them, set them aside and repeatedly ask me questions that were answered in the reports. I finally figured out that not only was he not reading them, he also didn’t value the time that I put into preparing them AT ALL. I started paying attention to the kinds of questions he was asking, and put together a VERY SHORT bullet list that answered the questions. (OK, this was a long time ago, and I’m a lot smarter now.) He stopped being so frustrated with me and I stopped being so insulted that he was ignoring my work and we became much better boss/subordinates for each other. I have to be careful how I explain this. I told a close friend that white people don’t know that they’re white–several times–and years later a conversation made it obvious that not only did she not understand what I meant, she didn’t believe me either. I have always thought I was pretty aware of the issues of race relations. I know now that I really didn’t have a clue. A few years ago, I worked for a large minority organization. I was one of two white employees. I was aware of my “whiteness” all the time. My mind did that to me. It made me think about it all the time. There are lots of studies about this–we notice differences. Most importantly, we notice how we’re different. I was aware of my difference. It was a new experience for me. Minorities feel this all the time–wherever they are in the minority–in the grocery store, at movies, at restaurants. That awareness–that you are different–and the assumptions you make about what the others are thinking shape your interactions with people. If you never have a minority experience, though, you never become aware of your “whiteness” or your “otherness-of-any-kind” (this doesn’t just apply to white people–it applies to all majorities). If you never have that experience, then you never really “get” it. 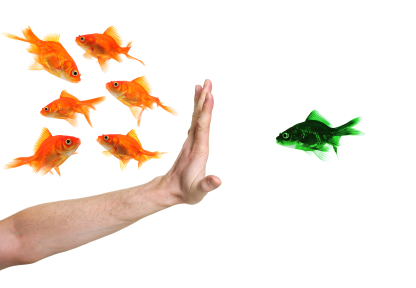 Being white in many communities in the United States, is like being a fish in water–the fish isn’t aware of the water. It just exists in that environment. There is a lot of baggage that goes with that water–privilege, history of mistreatment, institutional racism–that many white people are not consciously aware of. That doesn’t mean it isn’t there, though. The hyper awareness that minorities experience helps create the assumption that white people are equally aware of minorities. They aren’t. Of course there are situations where what I’m saying isn’t true. And certainly, there are racists who are more aware. Most white people, though, are not only unaware of their own “whiteness,” they are pretty oblivious to non-white people, too. They don’t walk into a grocery store and notice all the minorities. At a conscious level. There is stuff happening at the subconscious level, though, for everyone. I learned from one of the best professors I ever had, Dr. Martin Gooden at Wright State University, that there is a thing called in-group favoritism. People see members of their in-group as having positive characteristics and members of their out-group as having more negative characteristics. This applies to OKC Thunder and Dallas Maverick fans, to Democrats and Republicans, and to majorities and minorities. This happens without our thinking about it, at the unconscious level. It has very far-reaching impact though. It gets in the way of openness to getting to know each other. So, why is this important? Because it plays out all over the place. Non-white people don’t experience the freedom of not thinking about being a minority. They also aren’t aware of what they experience at the unconscious level–their unconscious assumptions. White people don’t understand that non-white people have a difference experience. And all that unspoken/not understood stuff plays out at work, at church, in politics, everywhere. Until we understand this and pull it out into the open, it never gets any better. That means that we need to talk about it. We need to understand the tricks our brains play on us. We need to understand the water we swim in.